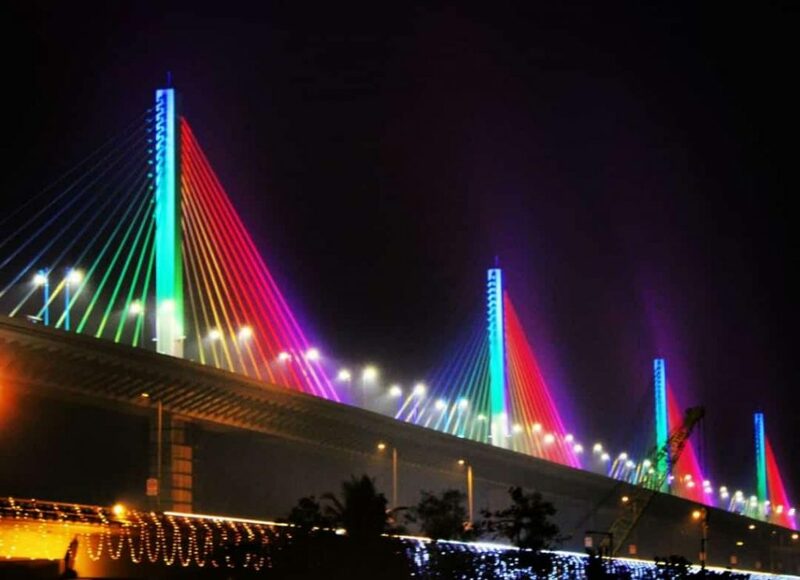 The new Mandovi river cable bridge in Panaji, Goa inaugurated by Union Minister Nitin Gadkari today. The third bridge over River Mandovi named “Atal Setu” . The 5.13 kilometer-long bridge is the third link on River Mandovi connecting the capital city to North Goa. The bridge will decongest the Panaji to a great extend as approximately 70,000 vehicles enter the capital city every day. Construction of the bridge, which is being built by Larsen & Toubro Limited (L&T). The 5.13km long structure has been built at a cost of Rs 482 crore. Construction of the bridge, extending from Pundalik Nagar junction in Porvorim to Merces junction This bridge will benefit Goans and national transporters. An export and import hub that is coming up will require such a bridge.